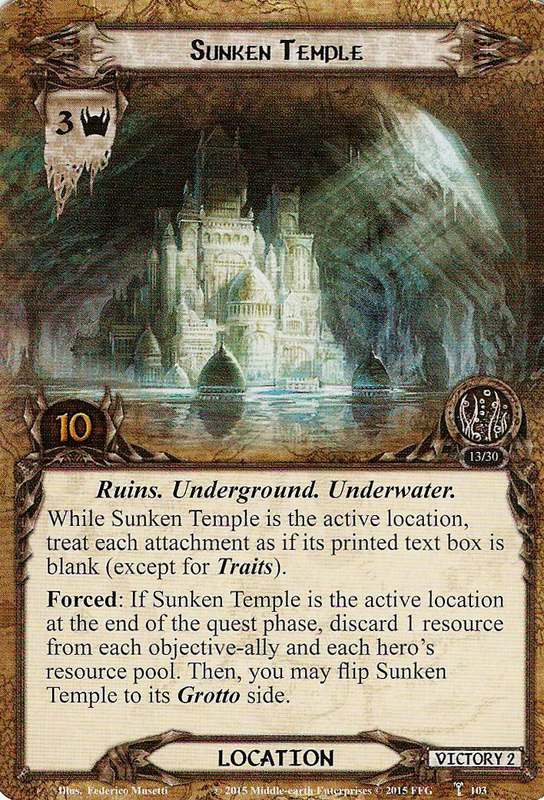 While Sunken Temple is the active location, treat each attachment as if its printed text box is blank (except for Traits). Forced: If Sunken Temple is the active location at the end of the quest phase, discard 1 resource from each objective-ally an each hero's resource pool. Then, you may flip Sunken Temple to its Grotto side.